As the days grow darker and shorter, and the thermometer plummets, so does the mood of millions of people living in the Northern Hemisphere. 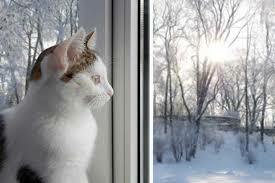 But humans are not the only ones affected by what scientists refer to as Seasonal Affective Disorder or SAD. Our cats – even the happiest, most active and energetic ones — can suffer the same dramatic downturn in mood. Melatonin, often referred to as the “hormone of darkness”, plays a vital role in regulating the sleep cycle. The pineal gland is light sensitive, and because melatonin is usually secreted at night, the less light there is – as in the shorter, darker days of winter — the greater the production of melatonin.